Elephant endotheliotropic herpesvirus (EEHV) is a significant cause of mortality in young Asian elephants, contributing to at least 65% of juvenile deaths in the captive population. This project is the first to address the pharmacokinetic characteristics of ganciclovir, one of the few drugs available to treat this devastating disease. Although famciclovir has been recommended as an antiviral drug to treat EEHV infections, the Saint Louis Zoo has previously treated two EEHV-infected calves with ganciclovir and both calves survived without any detrimental effects. The dosage used to treat these calves was derived from humans, but appropriate dosages and dosing intervals are essential to make objective treatment recommendations that balance effectiveness of treatment while minimizing potential drug-induced side effects. 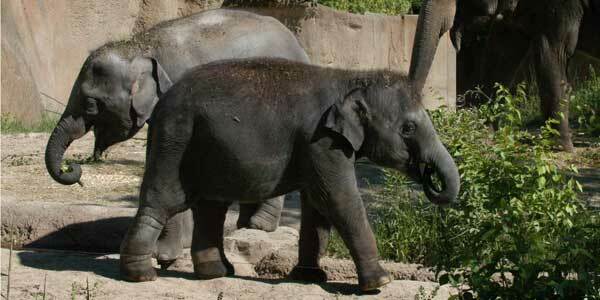 To develop an appropriate dosage and dosing interval to treat EEHV infections in elephants. To publish the results of this project in a peer-reviewed journal and make the information available to elephant veterinarians and managers. Blood is collected at established intervals. The number of elephants involved in the study changed from 6 elephants to 3 elephants. Additional elephants may be included after this initial trial. The project protocol has changed slightly. As a new PI on the project, Dr. Padilla made some changes to the dosing and rate of drug administration in the protocol to make it more clinically relevant while minimizing safety concerns associated with possible unknown adverse reactions. Major findings and accomplishments to date. 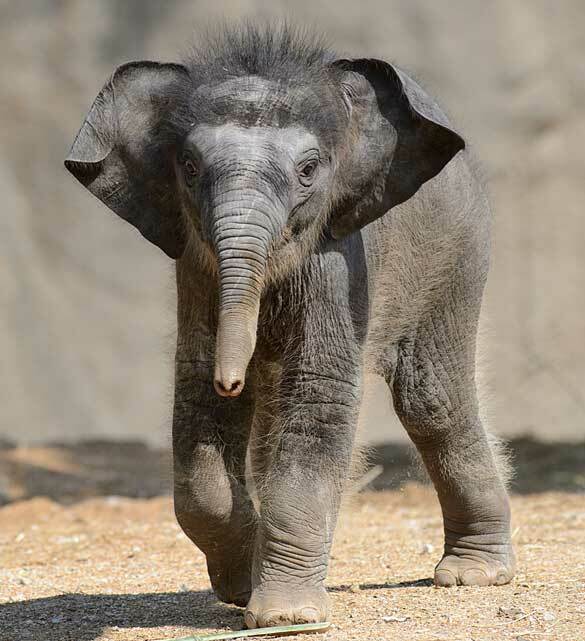 Prior to this project, the Saint Louis Zoo funded the development and validation of a ganciclovir assay for elephant plasma. Dr. Sherry Cox, Director of the Pharmacology Laboratory developed and validated this assay for use in this project. Two elephants have successfully participated in the infusion and data collection portions of this project with no apparent adverse reactions. A third elephant is scheduled to participate in this project in the near future. Long term goals that you are using to evaluate your accomplishments. A ganciclovir assay has been developed and validated. A timed sample collection and processing protocol has been developed and successfully implemented. Elephant Endotheliotropic Herpesvirus (EEHV) can be a fatal disease of elephants in human care and in the wild, and is one of the conditions that can influence the overall health and sustainability of the world’s Asian and African elephant populations. For elephants in human care, it is believed that early detection, appropriate treatment and adequate supportive care are critical to the survival of elephants experiencing an EEHV infection. Foundation, initiated a research project to understand how ganciclovir is absorbed, metabolized and excreted by Asian elephants. The end result will be refined dosages and dosing intervals of ganciclovir to maintain therapeutic blood levels while minimizing drug-associated side effects. Two elephants have already completed the ganciclovir drug trial with the protocol dosage regime and blood samples have been collected at timed intervals for determination of drug levels. In addition, weekly blood samples were collected from both individuals and their health has been closely monitored, with no evidence of any changes during or after treatment. Upon completion of the drug trial on a third elephant, the samples will be processed for determination of plasma ganciclovir levels and the data will be evaluated to make treatment dose recommendations.